- Why do we study history? - Why do we record history? 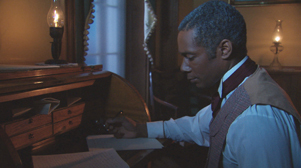 - Why was it dangerous for William Still to record, safeguard, and document his work as an Underground Railroad conductor? 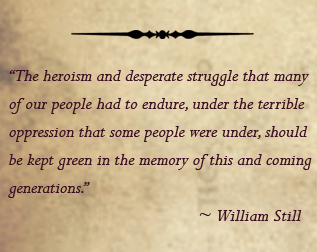 - Why were William Still's journals important to the fugitive slaves he assisted? - Why was it important for us today that William Still recorded and published his stories as an Underground Railroad conductor? - What if social media existed at the time of the Underground Railroad? 1. 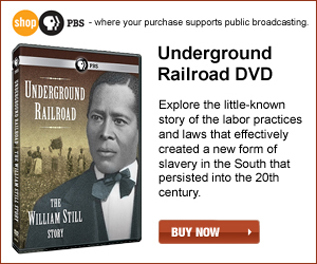 Watch the Underground Railroad: The William Still Story segment on the importance of recording and publishing history. Have students complete the Recording History Worksheet while watching the segment. 2. Discuss the Recording History Worksheet with the class. Students should make additional notes on anything they missed. 3. Students should complete the Public vs. Private Double T-chart as a class. Have students think about ways in which we record information personally and publicly (journals, diaries, sketchbooks, internet/social media, television, newspapers). Students should take note of those methods that would have been around in 1850 (journal, newspapers) as opposed to those around today (internet/social media, television). Discuss responses as a class. 4. Have a discussion based on the premise "what if social media existed at the time of the Underground Railroad?" Explain that William Still taught himself to read and write, but the majority of slaves could not read or write. For this exercise, students should imagine that slaves had the ability to read and write. 5. Discuss the different social media tools that exist today (blogging, Twitter, Facebook, texting). 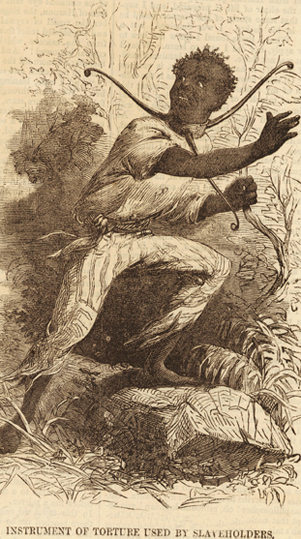 - Why might the use of social media have been very dangerous to an enslaved person? - Why might the use of social media have been dangerous for William Still? - How could it affect Still personally? How could it affect those he helped? - What method of social media do you feel would be most appropriate for an enslaved person and why? - What types of things could enslaved people have "posted, Tweeted, or blogged" safely? - Who would they choose to share their "posts" with? 7. Have students select a method of social media that they would use a slave. Students should write a few paragraphs, including possible information they would share through this social media and how they would avoid danger. Part of their writing should be in the form of a few "Tweets, posts, or blog entries." Students should justify the method of social media they chose. The students will complete the Recording History Worksheet, Double T-Chart, and a short essay (including sample "Tweets, posts, or blog entries") on the use of social media for Underground Railroad messaging.